Solanum lycopersicum. 75 days. Indet. 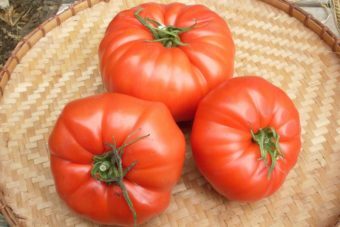 Another great main season red tomato from Siberia that’s perfect for fresh eating. 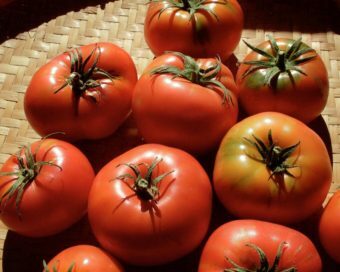 We are starting to specialize in Russian and Siberian tomatoes and for good reason— they’re awesome. Sasha’s Altai comes with a very special seed-explorer-romantic story. 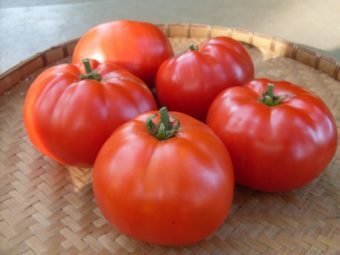 It was originally brought to the US from Irkutsk by seedsman Bill McDorman as part of one of the first and most important introductions of tomato diversity from the former Soviet Union. 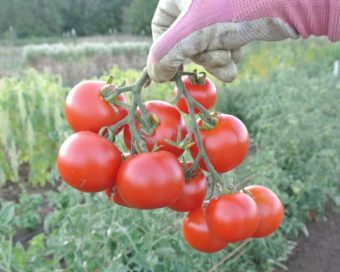 He received it from a very generous gardener named Sasha, who said it was the best tomato in Siberia. Sasha walked 35 kilometers (21.75 miles) each way to his home in the mountains and back just to give the seed to Bill. 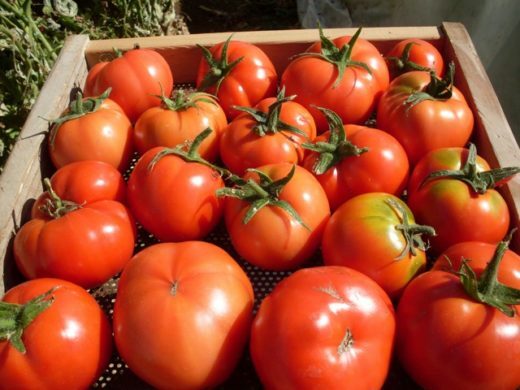 Famous now for its flavor, it was chosen by Organic Garden Magazine as one of the 10 best early tomatoes in the world.